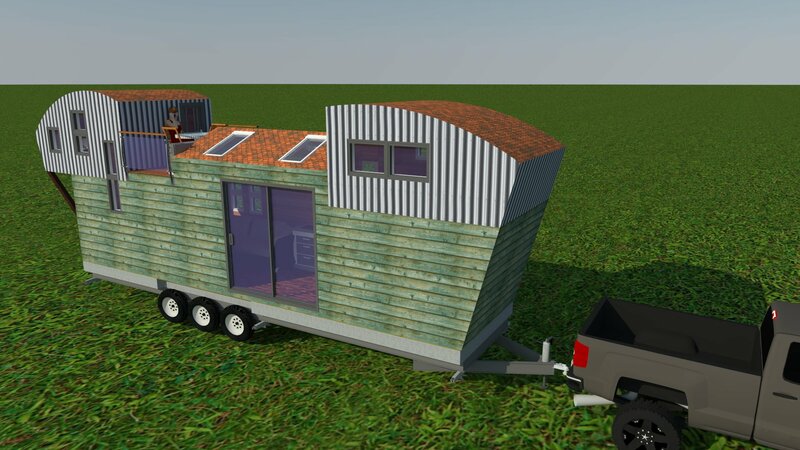 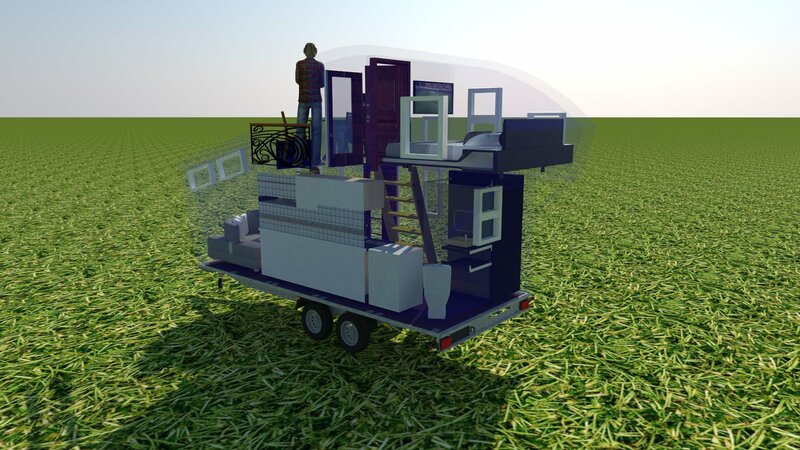 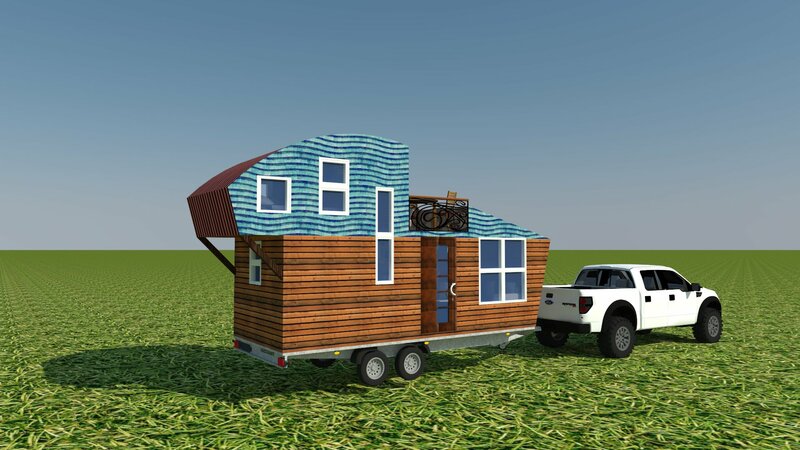 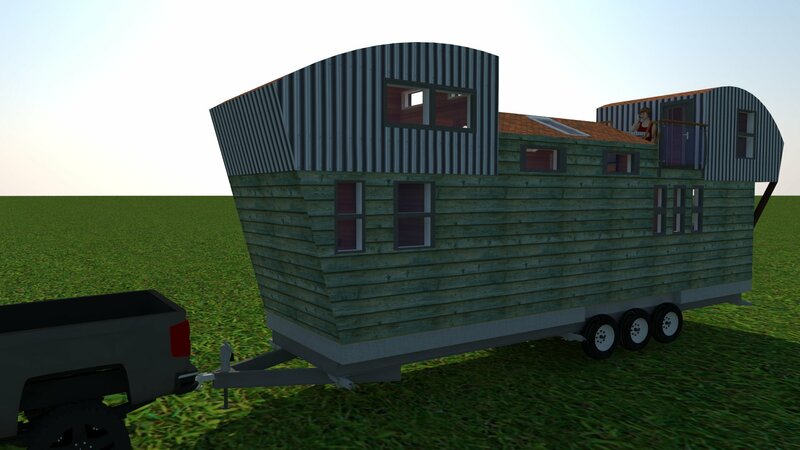 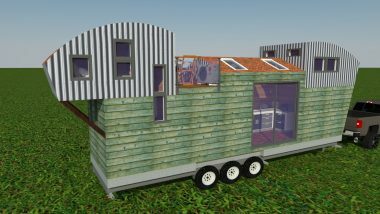 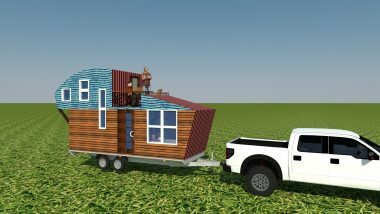 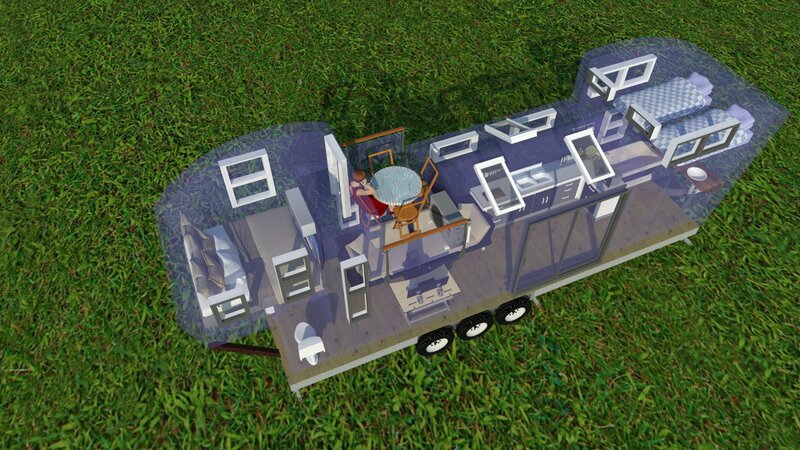 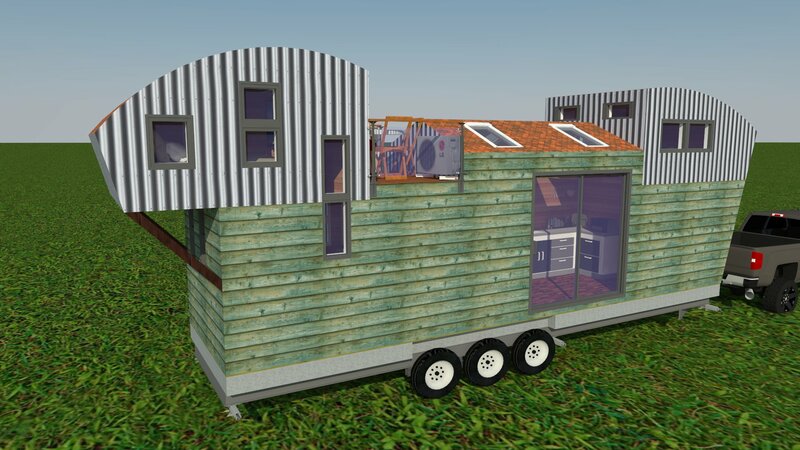 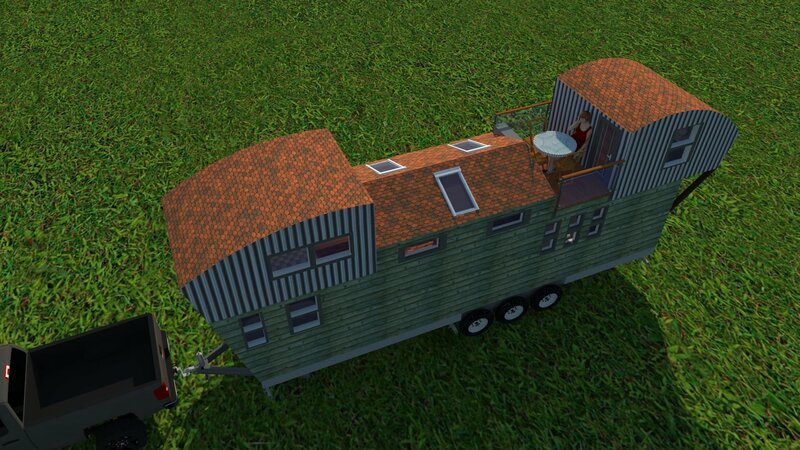 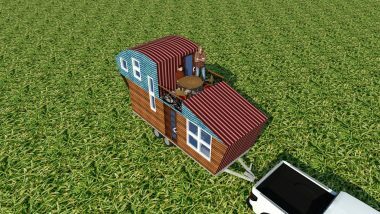 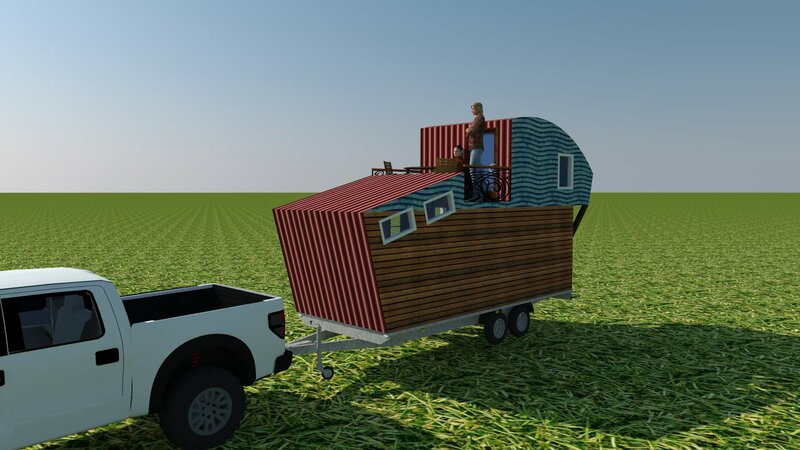 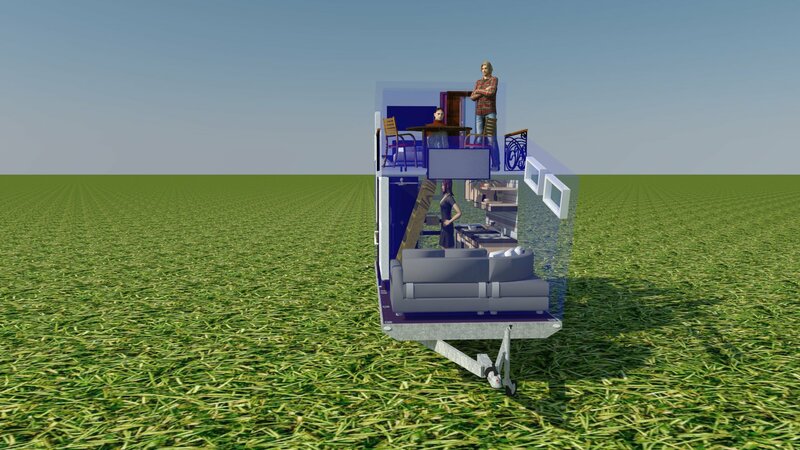 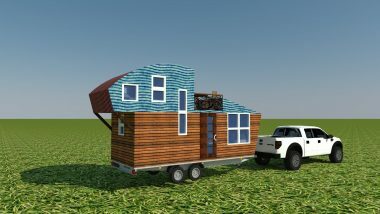 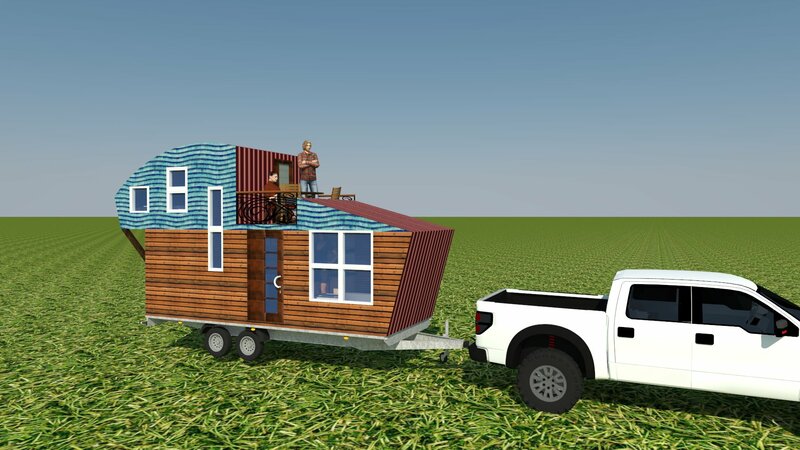 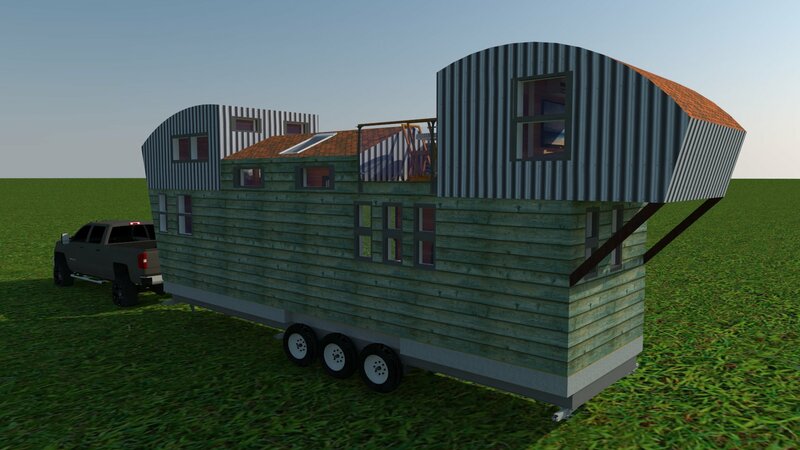 We present you a developed green-field project of a mobile house with dimensions of the trailer 6m. 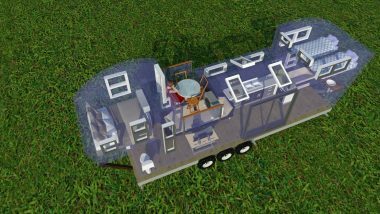 Logically, this project was named AERO 2 because it features the same architectural lines of the AERO model already produced. 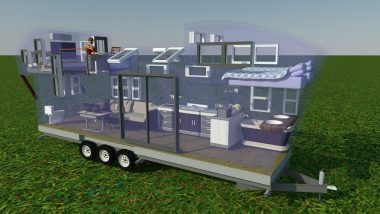 The inclusion of a small terrace is an innovative solution together with the differentiation of the second level into an individual premise. We decided to break the standard rules of a 6m-long trailer for this mobile house. 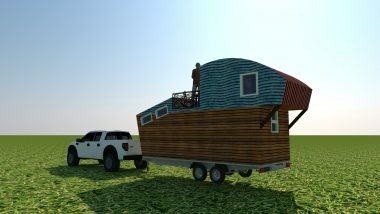 It is intended for a 9.75-meter long trailer. 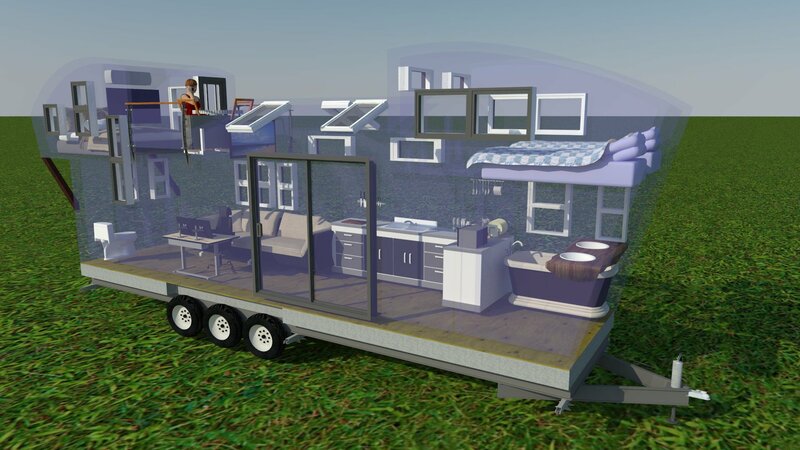 These are mobile houses on wheels which are slightly above the average size in Canada and the USA. 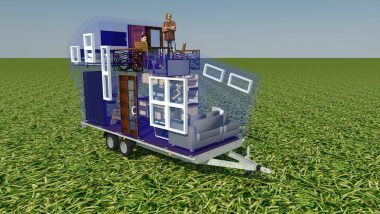 AERO 3 is sort of an apartment on wheels featuring two bedrooms on the second level, a separate bathroom and a WC. 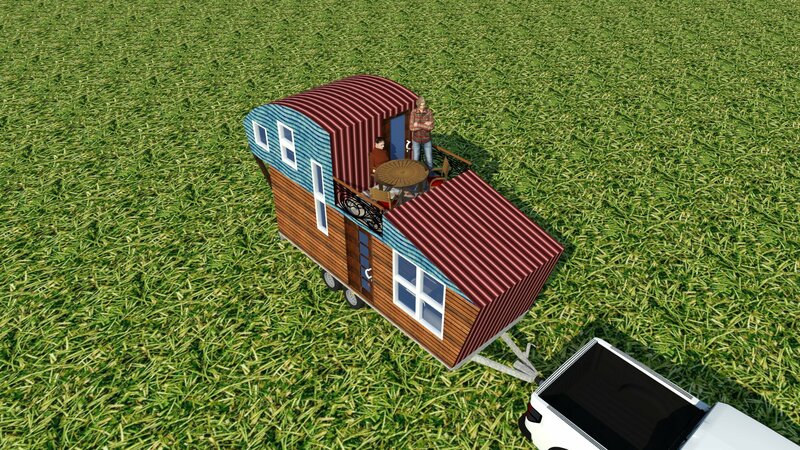 The budget required to realize this project in Bulgaria is at least BGN 70-80,000 needed to equip and produce the house with materials of high quality. 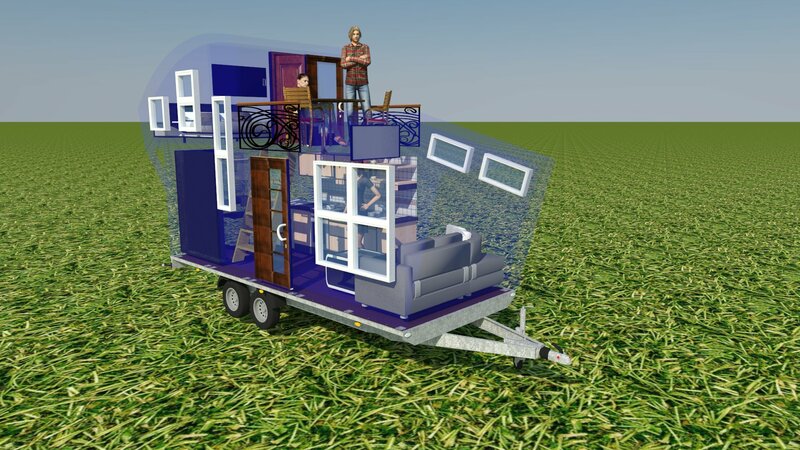 Some would say this is quite a lot of money, but the living space is over 50 sqm, however. Furthermore, no building licence is required, so this is pretty good an investment actually!